5.5 x 3.6 x 3.4 cm. An old-time combination specimen from a classic New Hampshire locality - Conway. 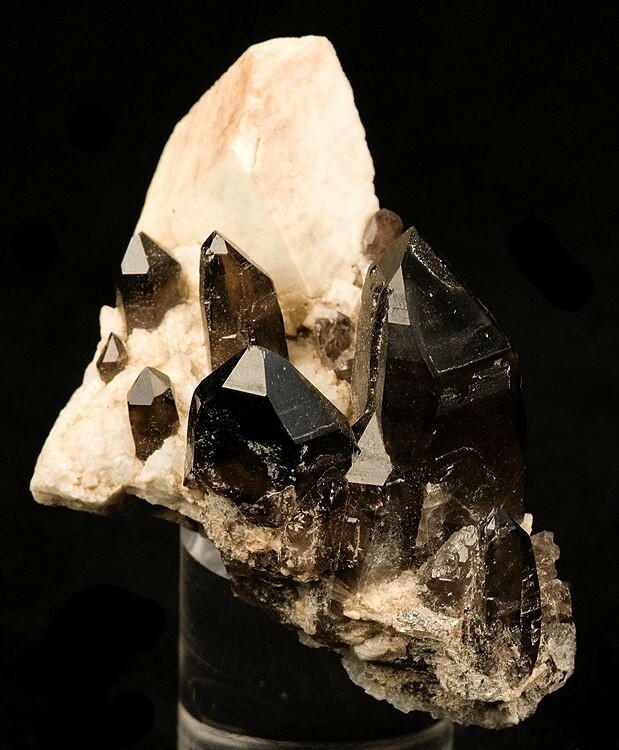 Glassy, transparent, smoky quartz crystals to 2.8 cm are "protected" by a sharp microcline crystal. Classic and excellent material from the Richard Hauck Collection.